If you run a backup job manually, it successfully work, however, when it runs as a scheduled job it fails with the error message: “Cannot perform the requested operation on an item that does not exist. Type: Xceed.FileSystem.DiskFile”, you can around this issue with one of the below solutions. 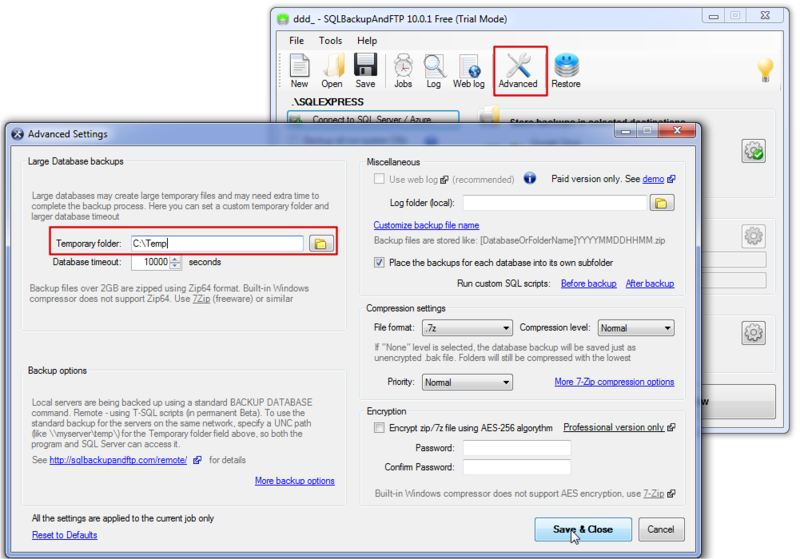 Open the backup job with SQLBackupAndFTP software and setup a temporary folder for the job, for example C:Temp. You can find this option at “Advanced Settings” window. 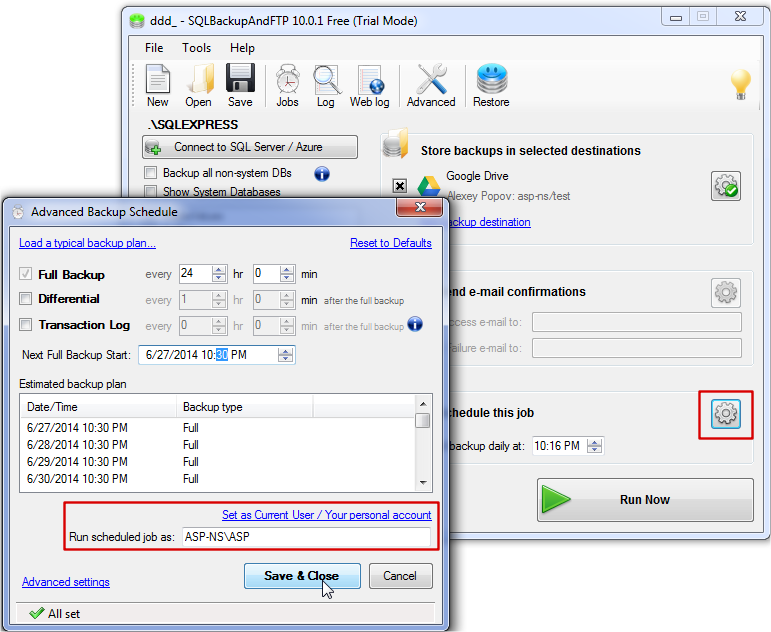 Schedule the job with your credentials using “Run scheduled job as” option at “Advanced Backup Schedule” window.